Taken by amateurs of the Sternfreunde Breisgau e.V. 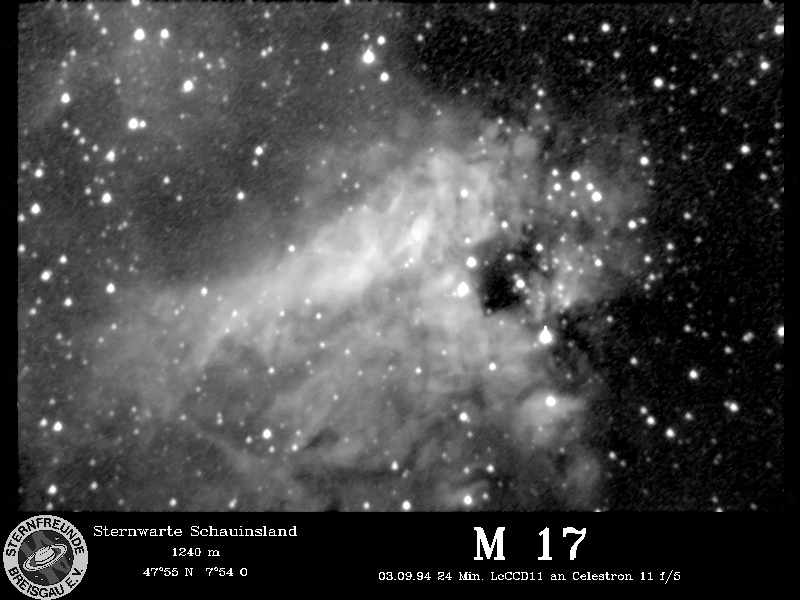 at the Schauinslandsternwarte with their new CCD camera on a Celestron 11. Contributed by Peter Suetterlin from the CCD image collection of the Sternfreunde Breisgau e.V. 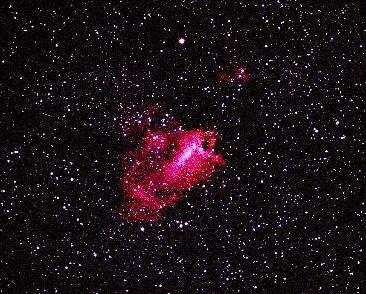 Matt BenDaniel took this great color photograph of the Swan or Omega Nebula M17, on May 24, 2001 from Pearce, Arizona, using an autoguided Astro-Physics 130 EDF refractor telescope. It is a 90-minute exposure, taken at f/6.7, on hpered Kodak PPF 400 film. 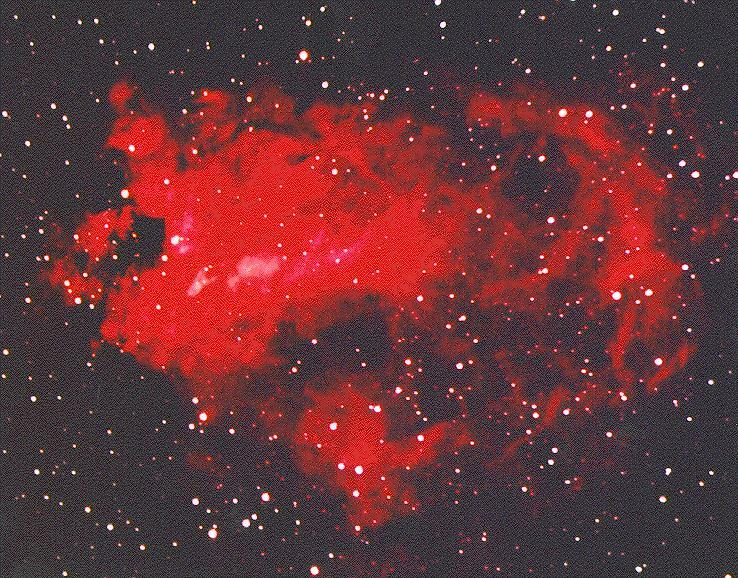 The image was cropped from a larger one of the whole M16-M17 region. 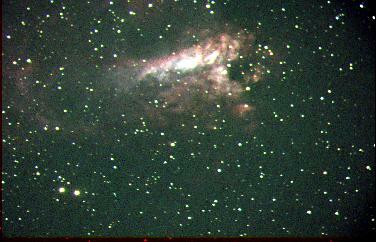 M17 as photographed by Jason Ware. 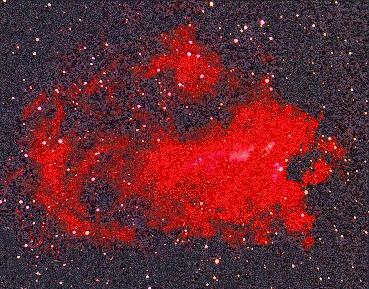 Another photo of M17 by Jason Ware. 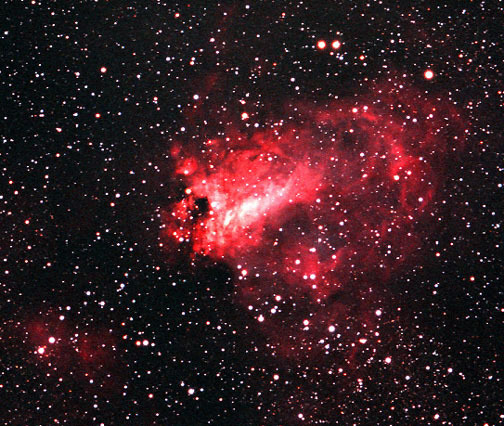 This CCD image of the Omega Nebula M17 was obtained with their Astro Physics EDF 152mm f/7.5 refractor by Brad Wallis and Robert Provin who kindly contributed them to our database. 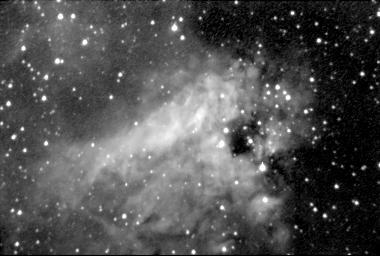 Three 10-minute exposures with SBIG ST-7 CCD camera, with minus-IR and No. 25 (red) filter, have been combined to create this picture. 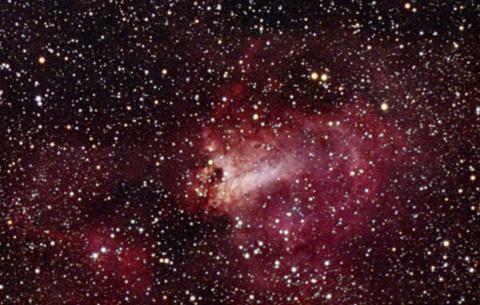 Great color image of the Omega Nebula M17, also by Brad Wallis and Robert Provin. It is a 20 minutes exposure on (unhypered) Fujicolor Super G-800+. 155mm f/7 Astro-Physics EDF refractor. The two Wallis-Provin images are copyrighted, but may be freely used for private purpose. Use in non-commercial public html pages requires appropriate acknowledgement. If you should consider any for-profit use, please contact Robert Provin (robert.provin at csun.edu) or Brad Wallis (bwallis at frazmtn.com). 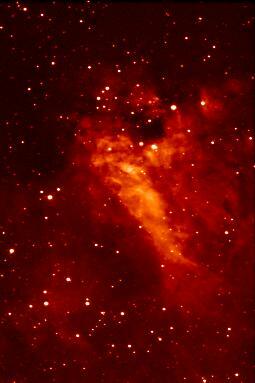 The Swan or Omega Nebula M17 with a southern hemisphere 'flavour'. 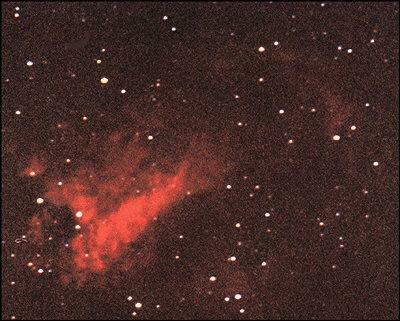 This image was obtained by Ian Wallis with a Meade LX-50 10" SC telescope at f/10 on 35mm Kodak EGP-400 negative film at the Schmidt-Cassegrain focus, exposed 7 minutes. It was taken in July 1999 from a suburban location in Perth, Western Australia. Visual limiting magnitude was about 5.2. 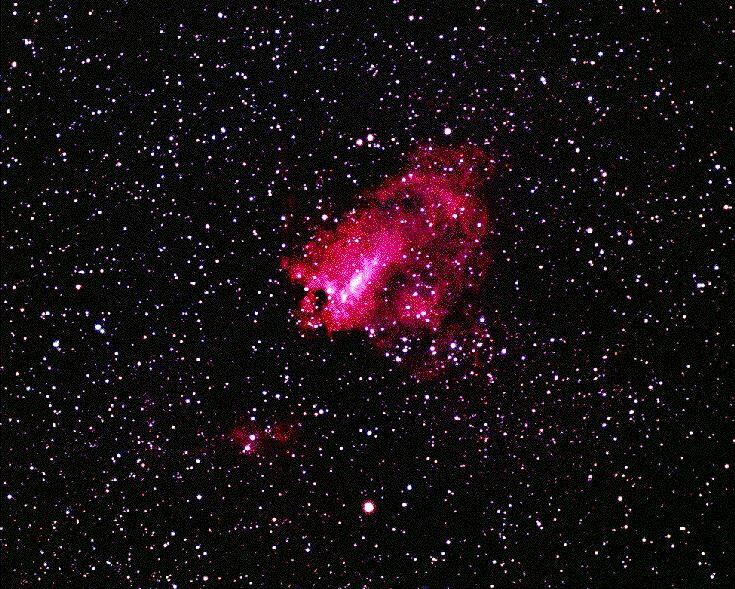 James Phan created this image of the Omega or Swan Nebula, M17, during an astronomy camp in Tishonomingo, Oklahoma. He took this photo with the 12-1/2 inch Schmidt-Cassegrain of Randy Black; it was a computerized system with a CCD camera.